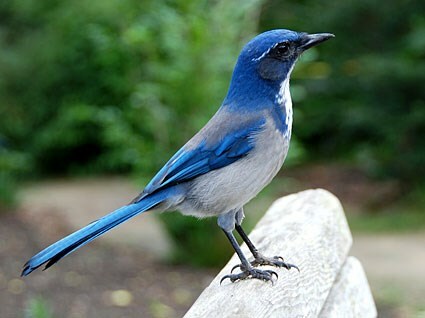 Ah, the Western Scrub-Jay, the Blue-Jay's beautiful yet noisy cousin. Despite his beautiful color, he's not a nice bird. He eats insects, lizards, nestling birds, steals from other birds, and chases them away from my feeder. And he has the most annoying voice. Fly away scrub jay!